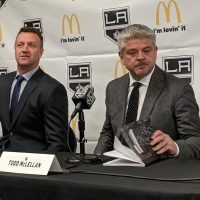 After what can easily be described as the most successful decade in franchise history, the Los Angeles Kings organization now stands at the ultimate crossroads. 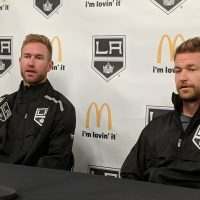 Do they hold on to popular players who were part of the Stanley Cup winning era, which would likely lead to further diminishing returns and perennial bottom-feeder status in the NHL… or do they make a hard left, showing an iron stomach for the unknown, and gamble on a retooling that could possibly see their core trio – Dustin Brown, Drew Doughty, and Anze Kopitar – make a return to the playoffs in a few years with a totally new cast of characters in tow? Truth be told, the decision has already been made and people should prepare for the latter. While it won’t be easy for fans, and teammates alike, to say goodbye to several well-known and important players, it’s true – time and tide wait for no man, or in this case, any NHL franchise. GM Rob Blake has his hands full at the moment, with the first of two critical points coming up. 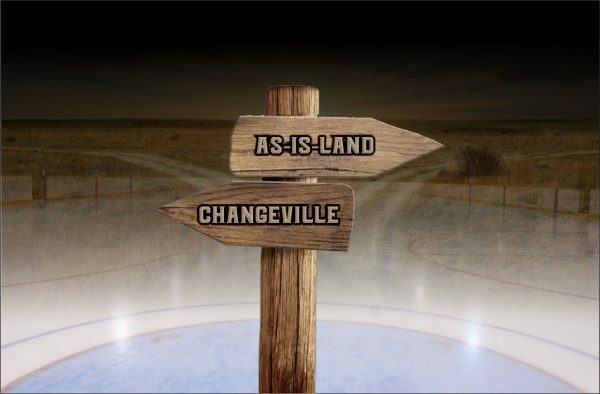 First, he’ll have to navigate the rough seas of the NHL Trade Deadline, coming up on February 25th. He must be cautious when selecting the right deal – especially when it comes to what are most likely his pair of trade chips that are expected to yield the largest return, defenseman Jake Muzzin and goaltender Jonathan Quick. After clearing that hurdle, Blake & Co. will have approximately four more months before they reach their next major pressure point, the NHL Entry Draft in late June. Surrounding that weekend in Vancouver, that is when we expect Quick to be dealt. Could it be in February? Sure. However, historically speaking, big name goalies typically move in the summer, not at the Trade Deadline. Regardless of which players leave when, the LA Kings are expected to look vastly different on paper in just five months from now. Fireworks will be coming to the SoCal hockey world much earlier than July 4th, that’s for sure. What does any of this have to do with prospects, you ask? 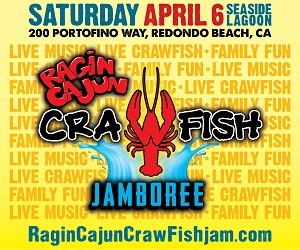 Well, we’re going to do something we’ve never done before. Four very young and failry inexperienced players have been removed from consideration for this edition of our Prospect Rankings – namely, Mike Amadio, Matt Luff, Austin Wagner, and Sean Walker. Generally, as a rough guide, prospects are thought to be players 23 years old and younger. Some also use the criteria of ‘players with less than two years of pro experience’ – which allows for the inclusion of players who may come out of college a little bit older (think: Nic Dowd). In years past, we’ve typically removed players from our list when they’ve officially graduated to the NHL. In the case of the four players mentioned, while they haven’t officially, officially made the jump to the NHL, the writing is on the wall. And once Blake begins creating holes in the current Kings roster via trading players away (for primarily picks and prospects), this foursome are expected to see a stark increase in their NHL playing time for the balance of this season. The only exception might be Amadio; yet that’s really getting into the minutia of things. Originally selected in round 3 at the 2014 Draft, Amadio has played 28 NHL games this season, compared to only 14 in the AHL. Although he’s currently with the Reign, his versatility at center and wing, gives Blake options when it comes to future callups. Just 22 years old and in the final year of his Entry Level Contract (ELC), there hasn’t been a consistent answer on Amadio over the past year – Is he a better center or wing? Moving forward, if he’s going to be a center, that would almost surely come on the fourth line in Los Angeles. If he’s looking for an expanded role, that would need to be at wing and would only come from a dramatic increase in his offensive production – something that hasn’t been his calling card, outside of when he scored 50 goals during his final year in the OHL (significantly more than his combined totals over the two previous years). If you’re looking for a hint at the future, look no further than how he’s being used in Ontario, where he’s a center. Luff might be the most intriguing player among the four. Undrafted and signed by the Kings as a free agent in September 2016, he’s still under contract for another season. A lively 21 years of age, Luff burst onto the scene last January when he landed in the No. 9 spot on our Midseason Prospect Rankings. Luff has an NHL release right now. He’s also somebody who gets in there, with some grit to his game. A probable third-line player when all is said and done, Luff is a shooter. He has the ability to check, but his shot and offensive instincts could produce on the third line. As one Kings executive noted to us, he has enough talent to push for an NHL job next season (2018-19). Having already played 30 games with the Kings thus far this season, Luff will probably be able to double that number before April comes around. Expect White Chocolate, as some of his teammates lovingly refer to him, to be a full-time NHL player next year. While the public nickname is Luffer, that's not the real one. Several of his teammates in Ontario took to calling him White Chocolate last season after he picked up a basketball at CBBA when the court was down and was just draining shots. Speed kills, so says the expression; and Wagner has it in spades. Can he score enough at the NHL level to get more than about six minutes a night? That’s the burning question. 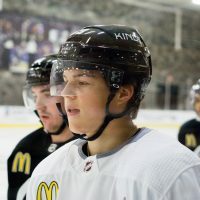 Having already suited up for 34 games with the Kings since October, this 21-year-old winger is also one of those expected to be a full-time member of the big club moving forward. Like Luff, Wagner has one year remaining on his current deal. 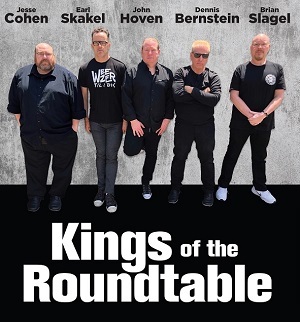 As noted in last January’s Prospect Rankings, the Kings paid a toll charge (an extra draft pick) to move up five spots in the 2015 Draft to select Wagner. They liked him that much… and still do. He needs to learn to process his speed. His mind has to catch up with his feet, allowing him to use his speed in a beneficial way. … Wagner plays physical, and recently had his first AHL fight (something he had nine of over four WHL seasons). 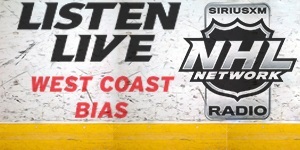 … Wagner’s game, both with and without the puck, is predicted on his skating ability. It’s his elite speed that creates issues for opponents when he has the puck in transition and without the puck on the forecheck and penalty kill. … Still, he doesn’t process the game quickly enough in the offensive zone to compliment other offensive players over the long run. Over a five-game run, he could definitely fill-in for a bigger role. Similar to Trevor Lewis in that regard. … He’s a highly competitive player, who could easily slot into the bottom six, providing good energy and adding 10-15 goals. His breakaway speed will give him plenty of opportunities to chip in with secondary offense at the NHL level. On the defensive side of the puck, Walker has been a pleasant surprise over the past year. In fact, he’s made the unprecedented move of leapfrogging just about everybody in roughly half-a-season. 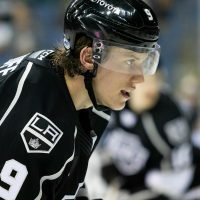 Undrafted, and having never even appeared on the MayorsManor Prospect Rankings, Walker was initially signed to an AHL-only deal with the Reign. Then, following an impressive campaign last season, where he recorded 28 points (7G, 21A) in 64 games played, the Kings signed him to a two-year ELC this past summer. That should have been the first indication of what management thought they had in Walker. Then, we were further encouraged during training camp when key executives started talking about him in the same breath as Kale Clague and Daniel Brickley. Walker had definitely arrived. Don’t be alarmed by the fact he’s only played 19 games in the NHL this season. He’ll get plenty more down the stretch and then is expected to be a mainstay next season. Teams can never have enough right shot defensemen and that more than makes up for the fact the former Bowling Green standout (yes, the same college as Blake) is listed at 5-foot-11. He doesn’t play small; he plays smart and coaches really enjoy his game. Walker was recently sent back Ontario so he could participate in the AHL All Star Game. He was named to the festivities earlier this month after heading the Reign attack from the blueline and being among league leaders in offensive numbers among defensemen. Next in the series, we’ll take a look at a good handful of players who just missed out on a Top 10 ranking; better known as this year’s Honorable Mentions. Do you think maybe we should trade Kopitar. I think i am the only crazy here who thinks its not a bad idea. We would get significant return as his trade value is still high. While it’s not as crazy as some people might claim it to be, it’s very difficult to get fair vakue in return for a 1C… Especially with that much term and money remaining on his contract. Then there’s also the matter of his NTC. Wouldn’t be an easy deal to pull off. 1 lineup player that can play at least top 6. Would that be asking too much or am i asking too little. I wonder which team would be interested for this. Four players the Kings will not be trading – Brown, Clifford, Doughty, and Kopitar.